Lately I've been looking for more bath toy storage options, and I have not been able to find much. I did pin this idea recently, but something about it just looks too kitchen-y, and cluttered, and I think it would bug my forever, so I didn't go that route. I wanted something really simple that would look cute and out of the way. Then I remembered Boon. I knew they carried great high chairs and I already have and LOVE my grass drying rack (which I use for my paint brushes instead of baby stuff, he he). They have a ton of different products, but I especially love their bath line. SO CUTE. 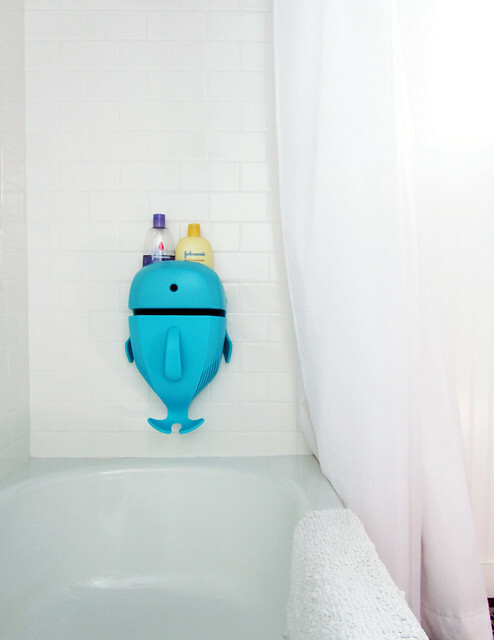 I'm not normally into having typical baby stuff all over the place, but I thought this whale would look pretty cute in our bathroom, and Ben is a big fan. I think it's adorable. It's also a really practical option, because there is drainage, so the toys don't sit in a wet container and they stay within reach, which I like. It holds quite a bit too, definitely enough for bath time. And I love that there's a little shelf for shampoo! I'm going to be stocking up on more Boon products for sure, including their bath toys which don't absorb water so they never get mildewy. Love it. I also love this organizer and this penguin snack container. 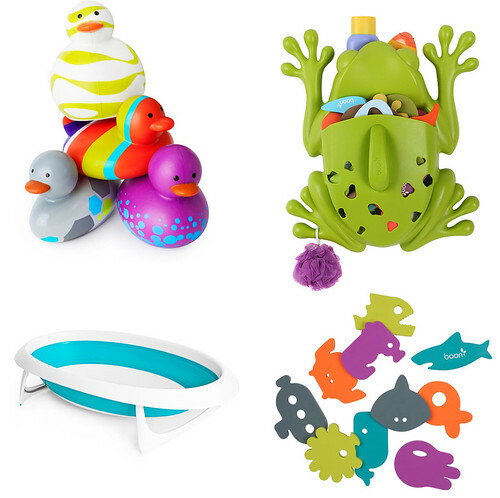 Have you found any cool baby bath toys or storage options out there? Love to get new ideas! These are really cute toy. Rubber duckies are the toys that are quite normal to have in the bathroom especially in the tub. Though these cute ones should be included too.